On 8th November 2012 Lt Gen A Graham CB CBE, President of the ACFA (Army Cadet Force Association) attended the official opening of the new Ellowes Hall School Detachment in Dudley, Staffordshire and West Midlands (NS) ACF. Gen Graham inspected the honour guard provided by cadets from a local detachment and unveiled a plaque to mark the occasion. The opening was also attended by the Mayor of Dudley and Mr Ian Austin, MP for Dudley North as well as representatives from the local council. During his opening speech Gen Graham emphasised the positive effects he hoped that the ACF would have on the school saying, “The ACF aims to raise people who will do the good thing on a bad day.” After the unveiling, the visitors were taken on a tour of the detachment to meet the new cadets and adult volunteers and observe them training. 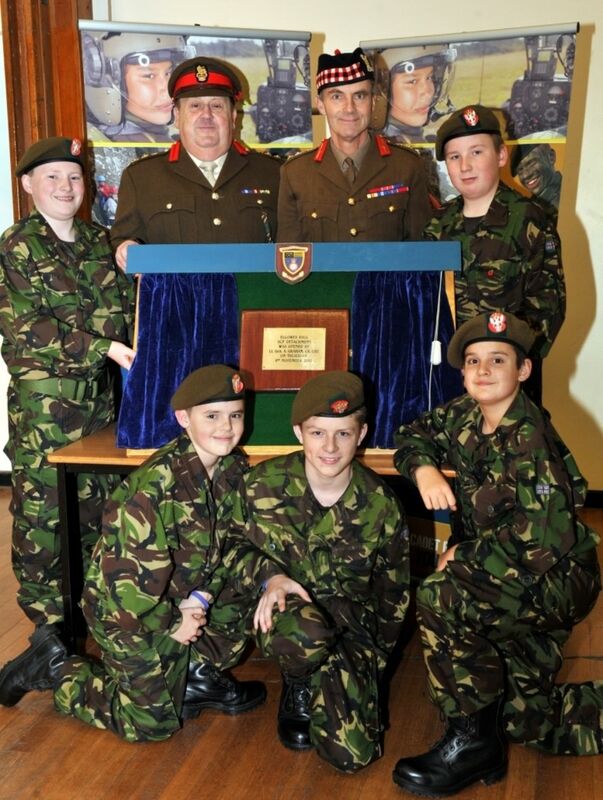 Headmaster Mr Griffiths said, “We always have young people who don’t engage with our other extra-curricular activities and it looks like a lot of them are already being attracted to what the ACF has to offer.” During the opening students from the school presented Lt Gen Graham with a gift to thank him for his visit.